By Bobby Schweizer on Nov. 12, 2010 at 8:59 a.m.
Not all touchscreens are created equal, so here are the things you should think about when choosing your next button-less device. 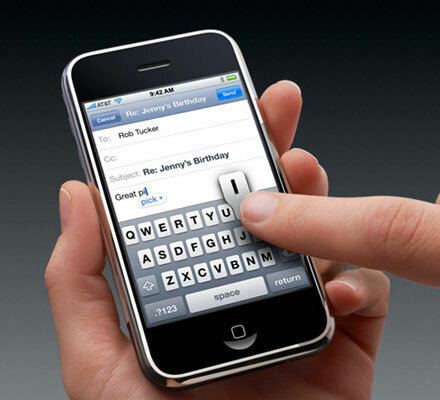 Before the release of the iPhone, there was no device in the public eye that wooed with its touchscreen. Most people encountered touchscreens while using the ATM, using the self-checkout at the grocery store, or participating in a poorly organized "interactive" kiosk at a museum. Tablet computers were few and far between and devices like the Palm Pilot had only garnered a limited following. Perhaps the most successful single piece of touch hardware was the Nintendo DS. But that has all changed, of course. The modern smart phone only has a handful of physical buttons. Android and iOS are operating systems designed for use without a mouse and keyboard, not just touch as an afterthought. But the quality of a touchscreen is hard to quantify. You can describe its technology—capacitive, resistive, multi-touch, stylus—but beyond that everything comes down to 'feel'. So what makes one better than the other? To understand where we are with touchscreen technology, let's look back at where we've come from. 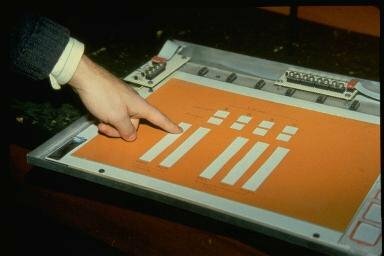 The first touchscreen was developed in 1973 by Dr. Sam Hurst, a physics professor working at Oak Ridge National Laboratory. Looking for a method to directly input points on a graph, Hurst created the resistive touch screen in which two thin layers of conductive material form a circuit when a force presses them together. first multi-touch screen was developed by Bell Labs' research Bob Boie in 1985. It used a capacitive array of touch sensors laid overtop a CRT display. A capacitive surface is a conductive surface with a voltage applied across it. The human body’s natural capacitance causes a local build-up of electric charge when the surface is touched, and the position of the disturbance of the field can be determined. Yet, despite the technological accomplishment, Bell Labs was unable to find an outlet for multi-touch and the project was tabled. Incremental innovations were made in the area of touchscreens throughout the '80s and '90s, but technology still was unable to make in-roads into consumer products. 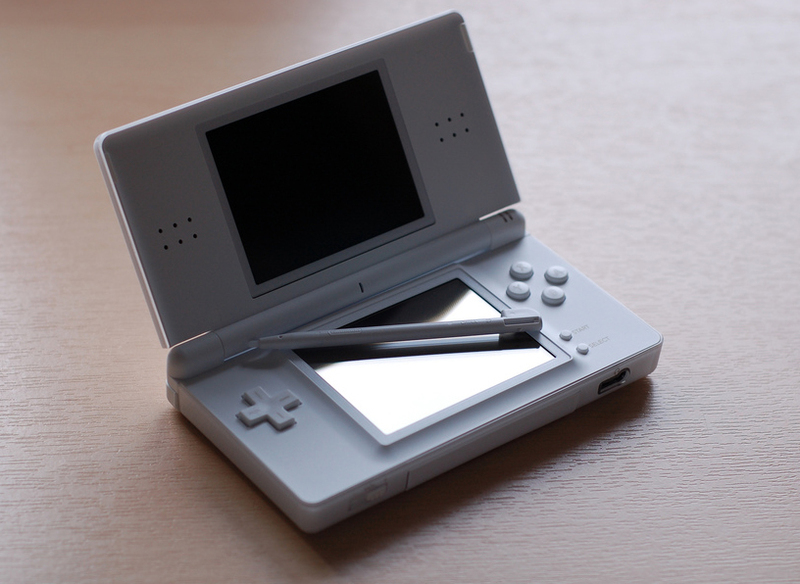 Standards of today's touch interfaces were established along the way, however. The "pinch" gesture to zoom, scale, and move objects was pioneered by Myron Krueger in 1984. The first smart phone, IBM and Bell South's 1992 Simon was the first smart phone and integrated a single-touch interface to control most of its functions. Wacom successfully combined a multi-input pen and puck with a position locating and pressure sensing surface. The flick gesture was implemented in a digital whiteboard in 1999, while various research labs and universities worked to establish a vocabulary of touch gestures at the turn of the millennium. 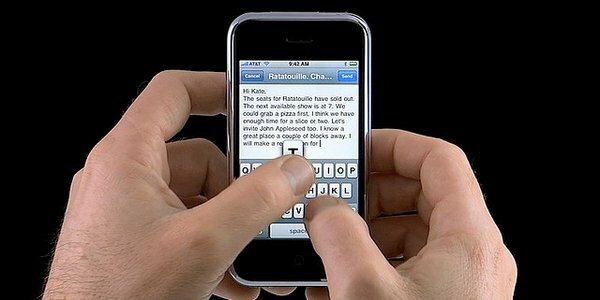 first iPhone commercials did not showcase people out and about using the phone, but a single anonymous pair of hands set against a black background, scrolling, swiping, and tapping through the phone's features. Thankfully, Apple's patent claims over multi-touch have yet to be enforced ( if at all enforceable) and new smart phones and portable devices from a variety of manufacturers have placed us in a touch paradigm. But not all touchscreens are created equal. What is it, then, that influences the overall experience of a phone? It's all in the details. The calibration of the touch sensor, the sampling rate, and noise-filtering turn your intentions into actions. As Wired's Priya Ganapati details, Apple is a stickler about its touch sensitivity, using "a 12-volt power source for the sensing lines in the touchscreen sensor, versus the 3- to 5-volt power source that most other component manufacturers have." In turn "that higher voltage drive takes a toll on the battery life because it uses up more power, but it also translates into more accurate sensing." Are you able to execute the software's demands? There's nothing worse than software that desperately wants to be multi-touch held back by cost-cutting measures. 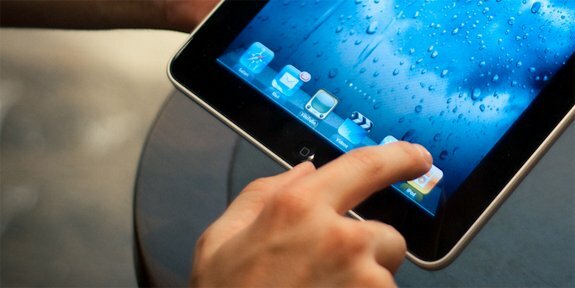 And, surprisingly, multi-touch can feel out of place in a simple interface. While single-touch will probably die out in favor of the more robust multi-touch, there are still devices (like cheap Android tablets or touch book readers) designed for limited input. Does the keyboard type accurately? In other words, is it using the letters you believe you pushed? Our fingers are bigger than any of the virtual keys on a software keyboard, so the phone needs to be tuned to properly differentiate that tiny part of your finger that accidentally hit the Q first while the rest of your finger aimed for the W.
Does the browser respond quickly to changes? Tap, scroll, pinch. Rotate, and repeat. Is the software working overtime to redraw things? Does the scroll pause while loading heavy pages? The map application is also a great place to check responsiveness. Can you quickly flip between app menu pages? If Shazam is on the fourth page of applications and you catch the end of a song at the coffee shop, can you scroll to it in time to identify it? Can you draw a straight line? If the unit you're testing out has a drawing app, see how well you can draw a straight line diagonally on the phone. Choose a thin brush setting and swipe a handful of lines across the screen. Are the results straight? The software will be doing some auto-correcting, of course, so only major squiggles are something to be concerned about. Are interface elements the right size? Are the primary icons big enough? See if you can you click the cancel button in the web browser with accuracy. Check the size of the fonts used for drop down menus. Open up the preferences and play with toggle buttons. Try using the device like you would in the real world. 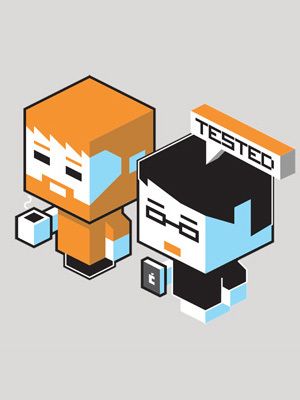 The Apple store, Verizon store, and Best Buy display are controlled environments. Look at the way the iPad rests on that slightly slanted pedestal on a barren table—the Apple store is s laboratory designed to get you to use the device in the most flattering way. So don't be afraid to really handle a demo Nook, or treat your friend's new Droid as if it were your own. Hold the phone away from you, tuck it in close, pretend like you're walking through the grocery store checking Twitter. Lift the tablet off the table or pull it from its display holster. Use it with one hand, then two.